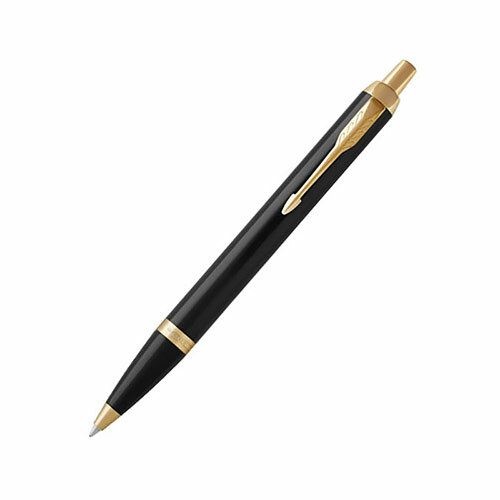 The IM range is one of the most popular in the Parker Pen range, and this black and gold version is a best seller, so if you're looking for a corporate pen or personalised gift you can buy with confidence that this pen will be admired and truly appreciated. 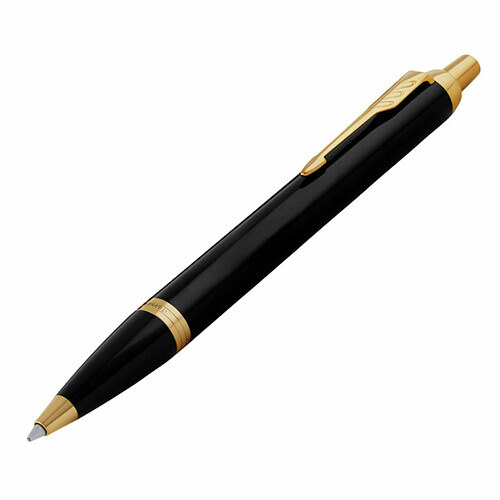 The all-metal construction gives a weighty, quality feel while the lubriglide technology in the blue ink refill gives smooth, consistent ink flow for better writing comfort. 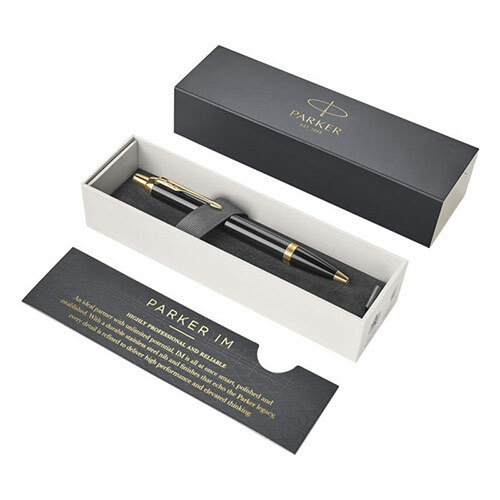 These black and gold Parker Pens are supplied completed with a Parker branded box and can be engraved on the barrel of the pen. Engraving is offered free of charge.